The Princeton International School of Mathematics and Science is a private secondary school in Princeton New Jersey. 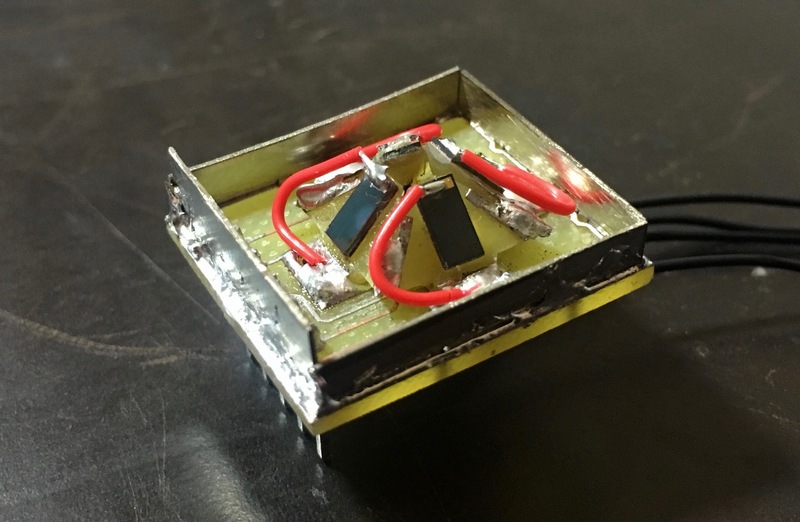 One of their students, Savva Morozov, undertook a project to build a miniature 2-axis sun sensor for a CubeSat. Here is his blog post! My name is Savva, I’m a senior at Princeton Int’l School of Math & Science. This summer I designed, built and tested a 2-axis solar tracking sensor for Princeton Satellite Systems. The sensor can determine the relative position of the sun using a set of photodiodes. Bearing in mind that the solar sensor would be used in vacuum environment, I decided to make the sensor out of printed circuit boards (PCBs) and solder them to each other. Originally, I wanted to 3D print the sensor, but shifted to the PCB solution to eliminate the risk of outgassing. Picture 1: solar tracking sensor, 2nd prototype. My solar sensor design resembles the shape of a square-based pyramid that is approximately the size of a quarter. It consists of 5 PCBs: 4 sides and a base to which the sides are attached. 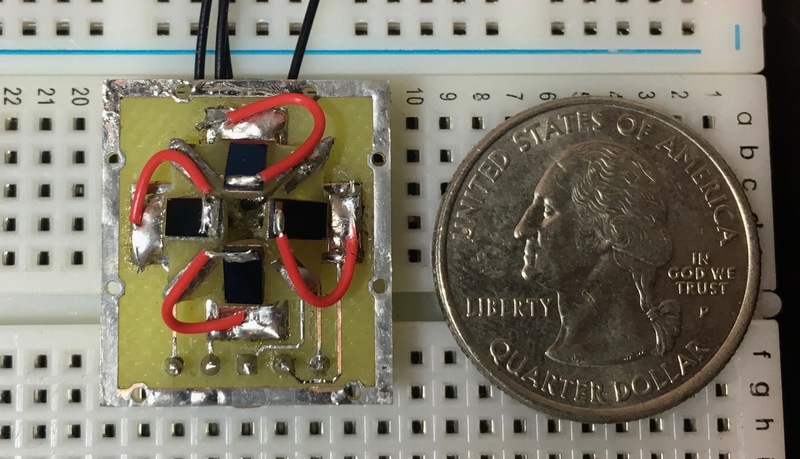 Each side contains a photodiode, and by measuring the voltage outputs from at least 2 of the diodes, the device can determine the sunlight’s direction. One of the initial problems I encountered was the handling and attachment of the photocells to the side PCBs. Each cell came with an anode and cathode wires already soldered to its front and back. I desoldered the cathode wire from every cell and affixed them to the PCB using a space grade silver conductive epoxy. This way I attached the cell to the device and grounded its cathode at the same time. I thought I killed two birds with one stone, but instead I killed two photodiodes: they were damaged in the soldering process. I resolved the issue in the second prototype: I threaded the cathode wire into a hole in a side PCB and then glued the diode to that same board. This way I didn’t have to use soldering iron at all, preventing possible risks. I then connected the cathode of every photodiode to a common ground and outputted the voltage readings from each cell in a single data bus. Picture 2: Solar sensor, 2nd prototype, quarter for scale. The diode, being attached to the outer side of the satellite, might be exposed to light that is reflected off the Earth or satellite surfaces. To partially prevent this, I soldered a shield to the edge of the sensor. Each surface of the shield would be covered with non-reflective material to further decrease the amount of ambient light. To protect the diodes from the impacts of micrometeoroids and other space debris, I plan to cover the diodes with a thin shield of hard glass crystalline window (tempered glass or sapphire). Testing the first prototype indicated a number of drawbacks that were solved in the second. Such problems are attaching the shield and the cells to the device, decreasing sensor’s size while increasing its aperture, and making the assembly process simpler. 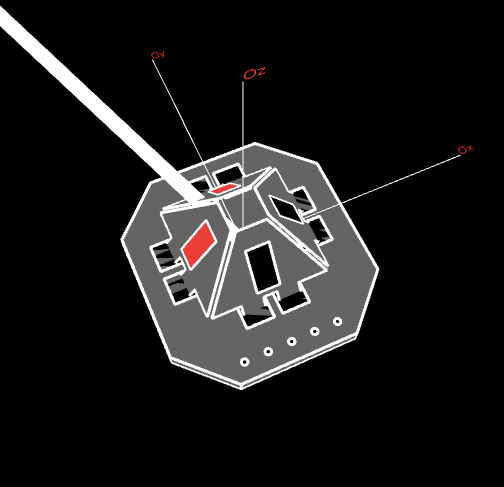 Picture 3: Visual illustration of a working solar sensor. In order for my sensor to survive the vacuum environment, I attempted to use only space qualified materials in the device’s assembly: PCBs, solder, epoxy, and sheets of copper. I have finished working on the development stage of designing the solar sensor. Testing procedures on my last prototype showed that such device would be ready for further usage and launch. CubeSats have caused a renewed interest in magnetic control of satellites, and passive hysteresis damping in particular. Modeling actual hysteresis rods on a satellite is not trivial, and generally requires empirical data on the properties of the rods selected. Our newest CubeSat simulation demonstrates damping using rods in LEO. A permanent magnet is modeled using a constant dipole moment, and we expect the satellite to align with the magnetic field and damp. We evaluate the results by plotting the angle between the dipole and the Earth’s magnetic field and the body rates. First, let’s verify the magnetic hysteresis model in the toolbox using the bulk material properties in orbit. We use a dipole model of the Earth’s magnetic field. The nice hysteresis curves below confirms that we are computing the derivatives of the magnetic field correctly in the body frame, which requires careful accounting of rotating coordinates. Also we stay within the saturation limits which means our magnetic flux derivatives are correct too. We will assume the rods are 1 mm radius and 95 mm length, with rods placed perpendicular to each other and the permanent magnet. Three rods are used per axis. The apparent rod parameters are taken from the literature. The actual rods will not reach saturation while in orbit, so we will see a minor loop. The rods produce only a small amount of damping per orbit, so we have to run for many orbits or days to see significant damping – in some passive satellites, the total time allotted for stabilization is two months! In this case we test the rods’ ability to damp the torque induced by turning on a torque rod with a dipole of 1 AM2 and allowing the CubeSat to align itself with the magnetic field, starting from LVLH pointing. Simulating the rods is time-intensive, with a timestep of about 4 seconds required – which makes a simulation of several days on orbit take several minutes of computation. Once performance of the rods has been verified, a simple damping factor can be substituted. This new simulation along with the functions for hysteresis rod dynamics will be in the new version of our CubeSat Toolbox, due for release in June!